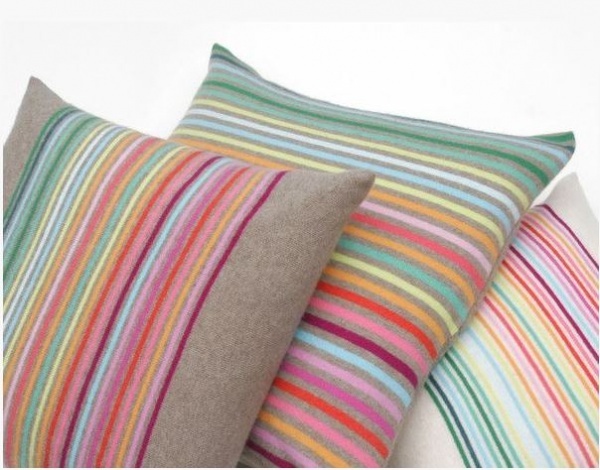 I just love these brightly coloured, luxuriously soft cushions from Row Pinto – a knitwear designer based in Cockpit Arts in London. She makes the most beautiful home and fashion accessories. Each piece is designed and handcrafted by Row in her studio, from superfine Scottish lamb’s wool and cashmere. Have a look at her website, as you can buy all her lovely piece on it directly from her.